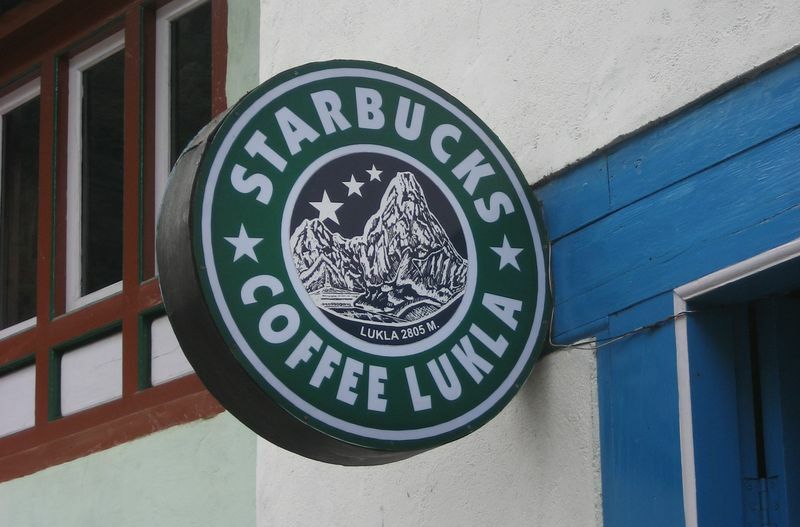 A few months ago I put up some pictures of a fake Apple store in Kunming but when I came through Lukla the other day I got reminded that they actually have their own claim to fake fame, a fake Starbucks. 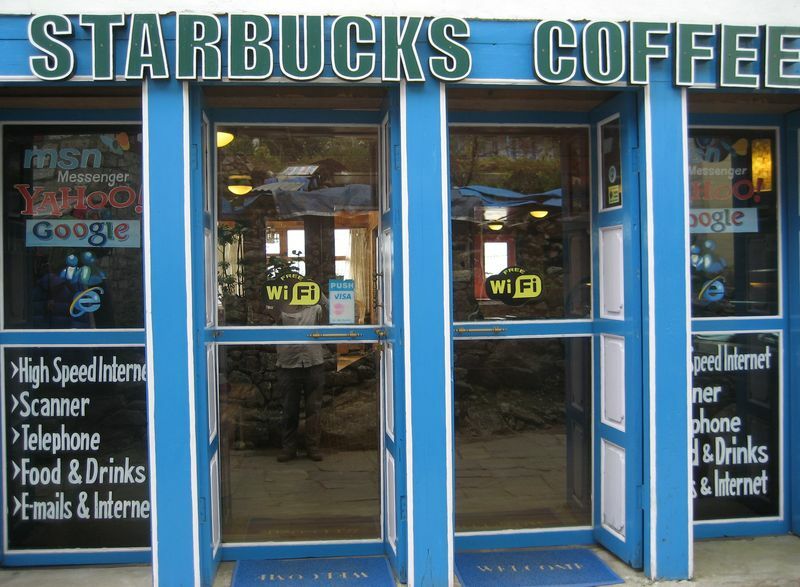 The signs and logo are there, it has wicker chairs inside and the coffee and cakes are nice. I reckon they should start a franchise.